BULGARIA: Suzlon has signed a joint-partnership deal with German wind developer Volkswind to create opportunities in the Bulgarian market. Volkswind Bulgaria and Suzlon will combine to build wind farms in Bulgaria, exclusively using the Indian manufacturer's turbines. 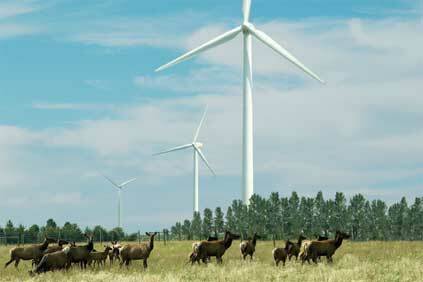 Volkswind is currently one of the largest operators in Germany with 40 wind farms. According to Windpower Monthly's Market Status Report and data from Bulgaria's Association of Producers of Ecological Energy (APEE), 57MW in new wind capacity was installed in 2009, bringing the national total to roughly 177MW. However, there are concerns about the grid's ability to accommodate new wind capacity, especially as most wind farms - both existing and planned - are concentrated in the north-eastern part of the country. Speaking about the Volkswind deal, Suzlon CEO Erik Wintherson said: "This marks the beginning of a long-term partnership with Volkswind and is a very important step in our strategy to expand our project development activities into new regions. "Suzlon already has a 13MW project under construction in Bulgaria for a leading industrial client and I believe our partnership with Volkswind will help us grow Bulgaria's wind industry even further."